Early tentative plans were presented to Rochester's Committee on Urban Design and Environment in January by the Vinar's architect, Teresa McCormack. McCormack, the owner of The Urban Studio in Rochester, described the complex with an estimated 150 market-rate apartments plus mixed-use commercial space. A $3 million real-estate deal clears the way for a new apartment/commercial development near Rochester's Soldiers Field Park. 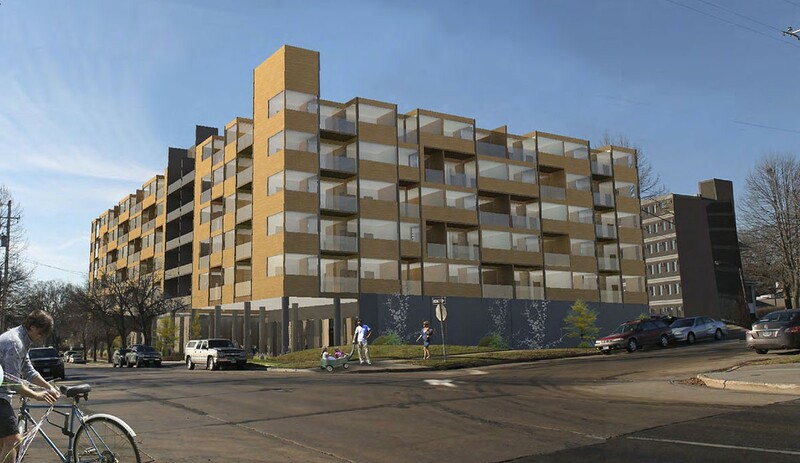 Vance Vinar Sr. and Barb Vinar, of Faribault, bought five parcels on Third Avenue Southwest and Fourth Avenue Southwest from Rochester's 3rd Avenue Holdings LLC. The Vinars made the purchase through Residence at Discovery Square LLC. It included two of the Third Avenue Lofts apartment buildings on the west side of Third Avenue and three adjacent single-family homes. While the land changed hands, the details for the future project on the site still are being worked out.